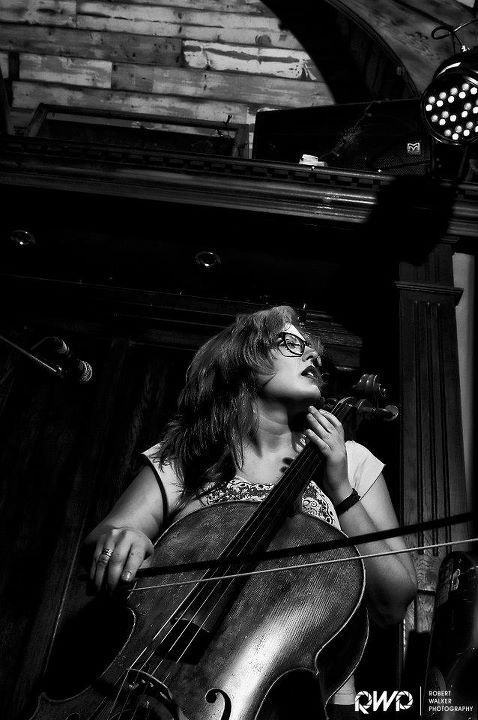 Emily Hope Price is a New York-based freelance cellist, singer, songwriter, film composer, arranger, performer, and illustrator. She holds a Bachelor’s Degree from Utah State University, Master’s Degree from Carnegie Mellon University, and Artist Diploma from SUNY Purchase – all in Cello Performance. She spent 8 years writing, performing, and traversing the globe with Brooklyn-based indie band Pearl and the Beard, proudly releasing 5 albums of work. Emily was also the cellist for Sting in his Broadway musical The Last Ship, co-music directed and performed the score for the play “All We Have Left” in conjunction with the Jim Henson Foundation with bandmate Jocelyn Mackenzie, and performed in the off-Broadway musical Futurity with music composed by the band The Lisps, and currently works regularly on Broadway. She has performed, recorded, and collaborated with many amazing artists including Roger Waters, D’Angelo, Ani DiFranco, Rob Thomas, 9 Horses, and piano prodigy Emily Bear. She has been a guest artist teaching improvisation at the New Harmony Music Festival in New Harmony, Indiana, the Cello Fury Rock Camp in Pittsburgh, PA, and the New Directions Cello Festival. She is currently an active solo performer, teacher, coach, and freelancer in New York City. She is currently working on her solo music project, two web series’ Darling Please Understand and Look, Honey, I Know, and is publishing a book of her illustrations – Backhanded Illustrated: odd drawings of painfully honest, strange looking people who may or may not represent actual events which may or may not have occurred. She has recorded and performed live in concert and on Broadway with her cello for many acclaimed musicians, a few of those include Sting, D’Angelo (live and Spotify Sessions), Roger Waters, pianist Emily Bear, George Crumb, Rob Thomas, Ani DiFranco, Devotchka, Ingrid Michaelson, and Nadia Ali. She has been seen and heard on national TV and radio broadcasts with Sting, Jacob Whitesides, harpist Bridget Kibbey, and Pearl and the Beard. She toured extensively with Pearl and the Beard and many other projects to cities both domestic and international including New York, Los Angeles, San Francisco, Pittsburgh, Miami, Chicago, Egypt, and throughout England, Germany and Romania as well as scoring and arranging for film in feature length (Unicorn City) and short form (commercials, independent short documentaries). She spent 8 years writing, recording, performing, and touring as part of Brooklyn trio Pearl and the Beard. After releasing their third and final full length album as a band in the summer of 2015, they parted ways and Emily has since become more involved with theater, film, and solo projects. After being doored by a car while on her bike left her with lots of free time, she also become the creator of Backhanded Illustrated: drawings of painfully honest, strange looking people who may or may not represent actual events and fleeting thoughts that may or may not have occurred. Emily prefers cool, moody weather, good movies with great soundtracks, and every enormous, absolutely huge kind of dog. Emily received a master’s degree in Cello Performance from Carnegie Mellon University studying with Pittsburgh Symphony Orchestra Principle cellist Anne-Martindale Williams and PSO Associate cellist David Premo. Emily relocated to complete a one year post-graduate program in cello performance at SUNY Purchase with cellist Julia Lichten of The Orpheus Chamber Orchestra. Since graduating, she has performed and recorded for various musicians all over the east coast and abroad. On January 4, 2010, Emily undertook The 365 Project, a year long, song-a-day exercise that was blogged about daily at http://www.emilyhopeprice.com, inspired by musician Brian Speaker, who completed his own song-a-day-for-a-year project, Spiral Notebook. Fortuitously, the project was interrupted when Emily was asked to score and supervise the independent feature film “Unicorn City” with the help of producer/engineer James Frazee. On June 1, 2009, she released her first solo studio-EP, “The Crux and The Bluestocking”, and since The 365 Project‘s inception, Emily released several limited edition EPs of select 365 songs – each release contained different selections from the 365 Project. All releases of The Crux and the Bluestocking as well as any 365 Project recordings were hand-made and hand-pressed. Saw PatB open for Ani in Milwaukee last September… Never have I ever been so wowed by a group I’d never heard of. I’ve been digging your solo work as well. Thank you for sharing your talent and passion with us. Thank you so much for listening – we love Ani, what a woman! So happy to virtually meet you! I also discovered Pearl and the Beard at an Ani concert in Bloomington Indiana in September of 2012. Your music brought me to tears, especially Black Hole of Calcutta. I bought all of the CDs and you three are my constant companions while driving. Please come back to Bloomington. Everyone in that audience fell in love with you. Joanna – what a night that was. Thank you so much for getting in contact, and we’ll see you again in 2013! Please come say hello if we see each other! I went to the Ani show in ATL last night expecting to be wowed by Ani (per the usual, she is amazing) but seeing you and PatB absolutely swept me away. It was love at first sound. You are breathtaking and not only musically orgasmic but a total knock out to boot! I can’t wait to see you guys again in March! P.S. Thanks for the hugs and signature, made my whole night! We had such an incredible time – thank you for your sweet message. We can’t wait to come back! Synesthesia was very excited to find you through Wesley’s/ Family Records blog. PatB is this fall’s ‘diamond in the rough’ and 365 is a music inspiration. We are looking forward to hearing more.